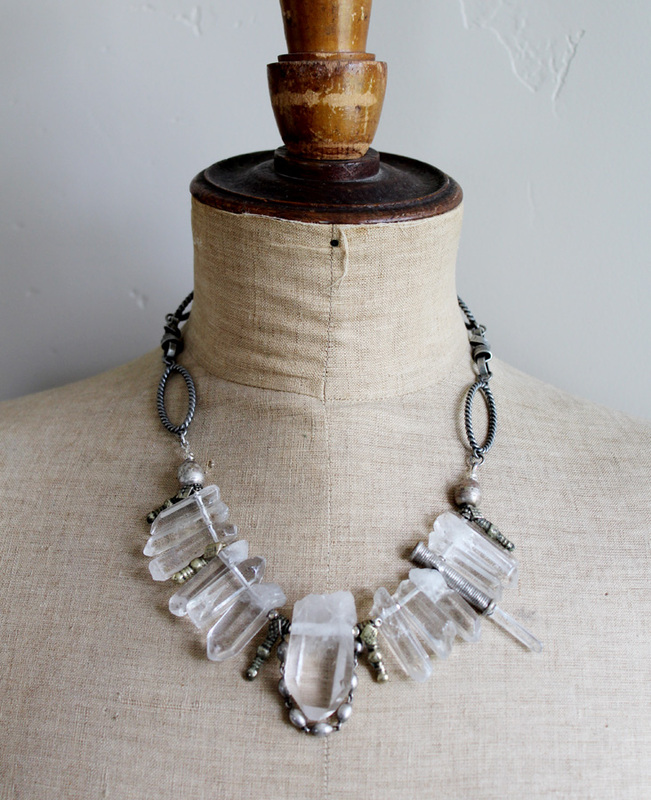 This is such a gorgeous and hip One of a Kind Quartz Rock Crystal Necklace by Rock It Gypsy Designs. We have exclusive rights to sell these one of a kind piece on the internet and are so excited about it! 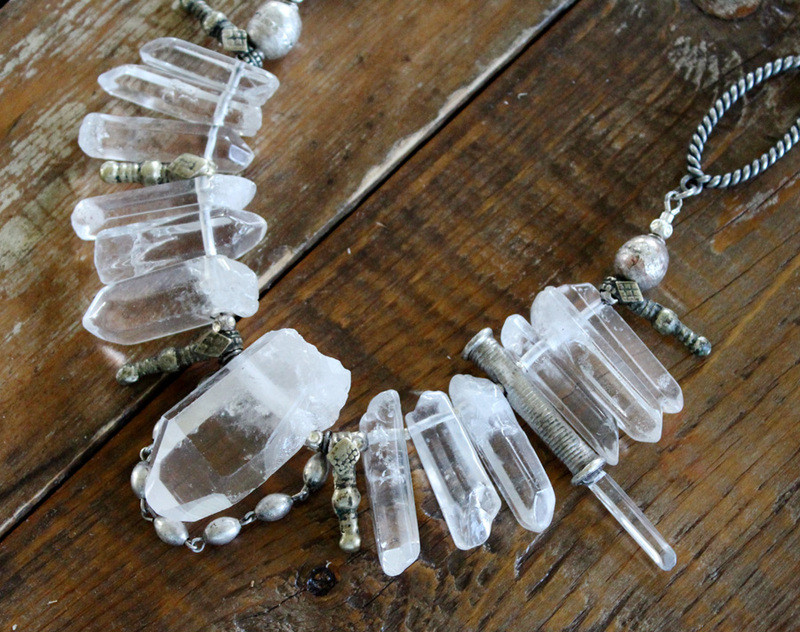 A beautiful necklace to wear with jeans & a tshirt..or dress it up for an evening out. Rock Crystal has many healing attributes. It also assist you to manifest those things you desire. Their attributes are quite diverse and many have potent vibrations. You will not believe the comments you will get when wearing this necklace! 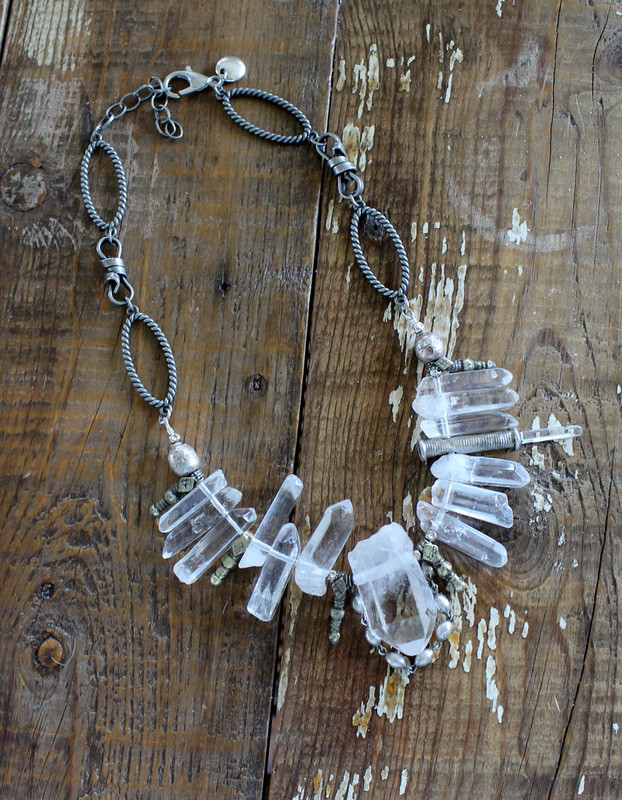 Have fun wearing it and Rock it you Gypsy Girl!